It’s called liquid gold with good reason – breastmilk is precious stuff and needs to be stored properly to make sure it keeps all of its milky goodness. 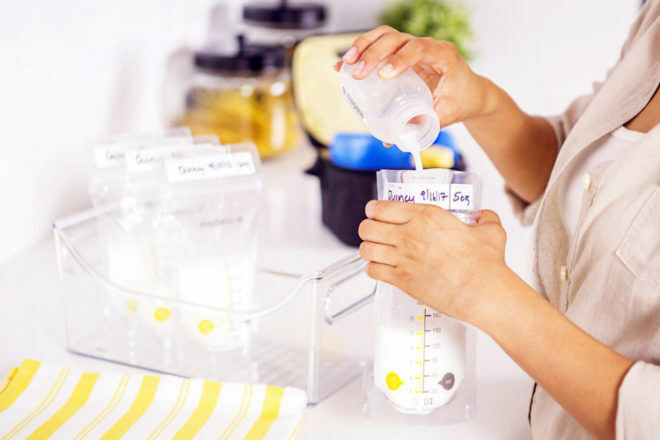 Whether you’re hand expressing or using a breast pump the rules for storing, thawing and heating breastmilk are all about keeping breastmilk safe for bub to drink. Breastmilk can be stored at room temperature, in the fridge or freezer, but timing is key. And what about leftover breastmilk – can it be reused if bub hasn’t finished the bottle? 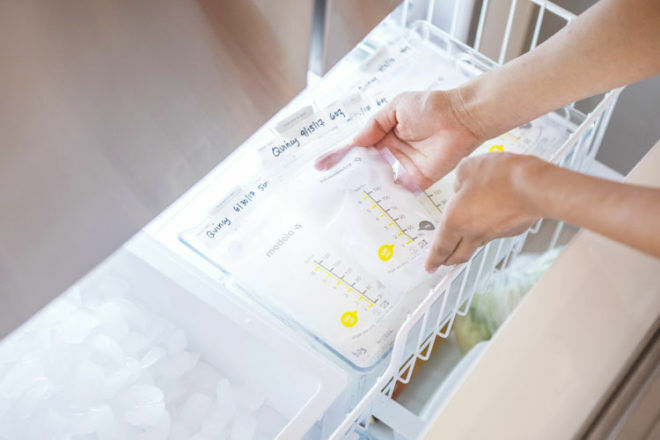 Here’s everything you need to know about storing, thawing and warming expressed breastmilk. You’ve pumped and now you need to store, so what’s the best way to keep breastmilk safely stowed until you want to give it to bub? Breastmilk can be kept in glass or plastic containers, or in resealable plastic bags. You can directly pump into some of these storage containers, and then simply seal and store at room temperature, in the fridge or the freezer. 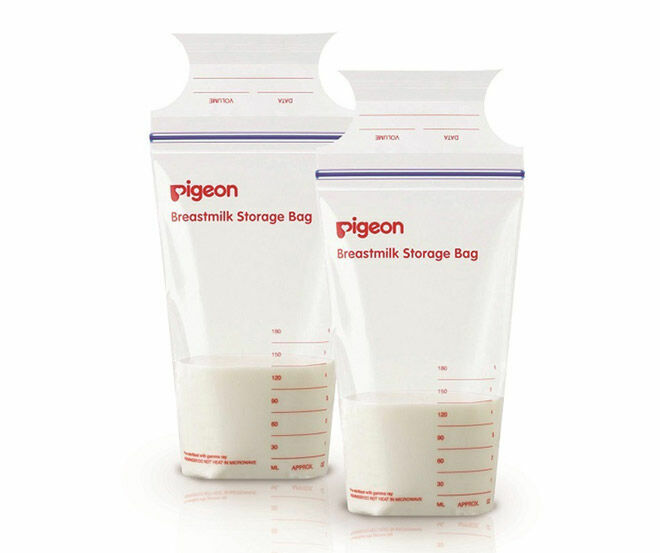 Pigeon Breast Milk Storage Bags ($22.95, 25 bags): Super handy, breastmilk storage bags are pre-sterilised and are fabulous for saving room in the freezer. They can either be frozen standing up or laying flat so they can be stacked. 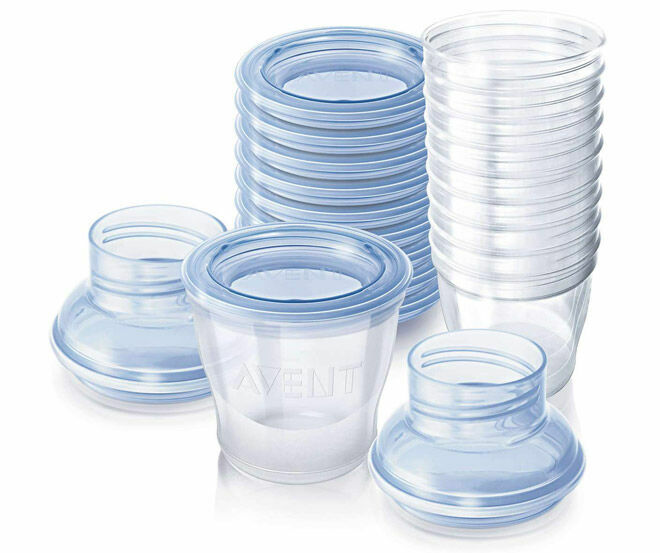 Avent Breastmilk Storage Cups $16.95, 10 cups): Stackable and sturdy, breastmilk storage cups can be used in the fridge or freezer. They come pre-sterilised and can be re-sterilised up to four times before they need to be thrown out or recycled. Use the adapter to express directly into the cups then seal with the lid. These nifty containers can also be used to store baby food. 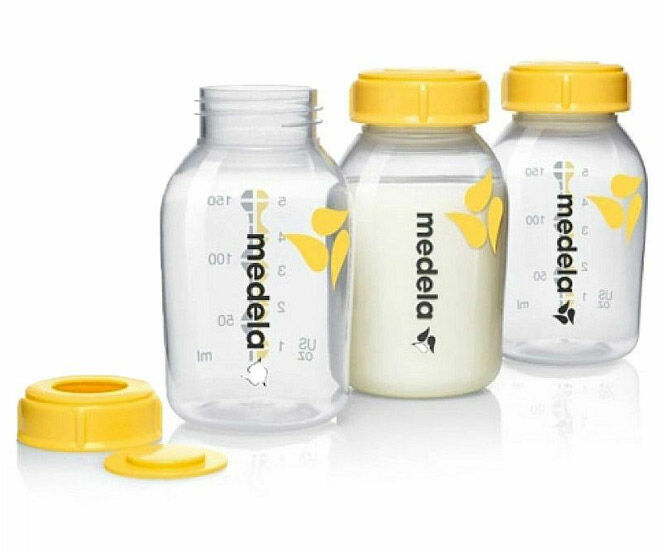 Medela Breastmilk Bottles ($17.95, 3 bottles): Pretty much a one-stop-shop for breastmilk storage – pump directly into the bottles then pop on the lid to either freeze or store breastmilk until it’s ready for use. They can be tossed into the dishwasher for washing too. How long can breastmilk be stored for? It all depends on whether the freshly expressed milk is being kept at room temperature, in the fridge or frozen. At room temperature: Freshly expressed milk can be kept at room temperature that’s no more than 26ºC for six to eight hours. But if you can pop it in the fridge, do so. In the fridge: for no more than 72 hours at 5°C or lower. Pop it in the back of the fridge where it’s the coldest. 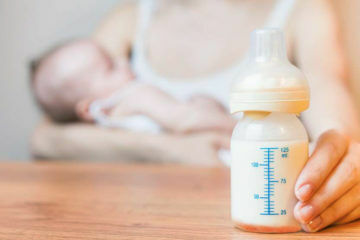 Remember that breastmilk needs to be stored in a container that’s been sterilised, and that includes using a breastpump that has been properly cleaned. How do you defrost frozen breastmilk? Breastmilk should be defrosted in the fridge – just pop it straight into the fridge after taking it from the freezer and leave it until it’s completely thawed. Make sure you use it straight away once it’s defrosted. If bub is ok taking cold milk, it can be given cold. Just remember once it’s been thawed it can’t be refrozen. If it’s been thawed, but not warmed, it can be kept for four hours or less in the fridge. 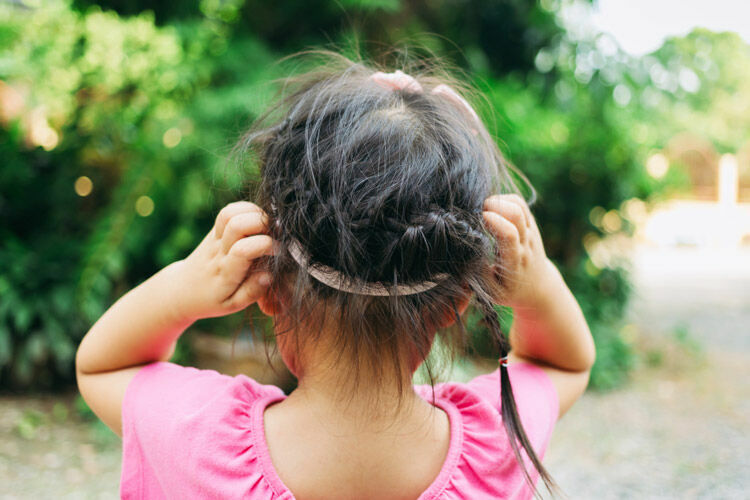 You can use leftover breastmilk to make a lush breastmilk bum balm for baby. 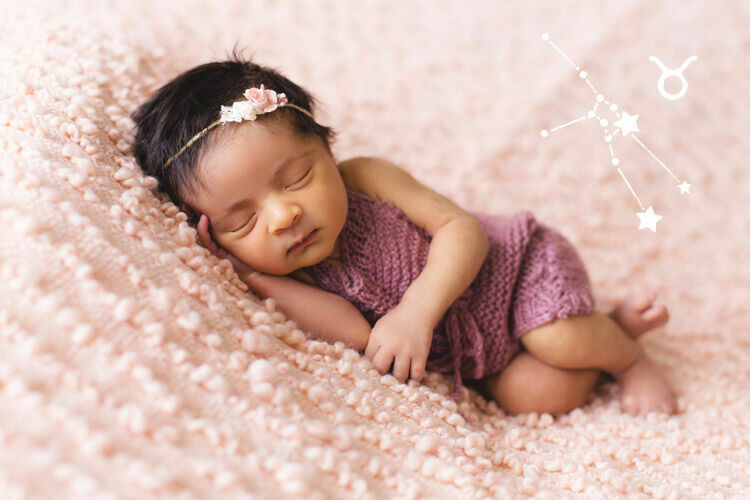 How do you warm breastmilk? You can’t use a microwave to heat up or defrost breastmilk because it can create hotspots that burn bub’s mouth, and it kills some of the goodies in the milk. 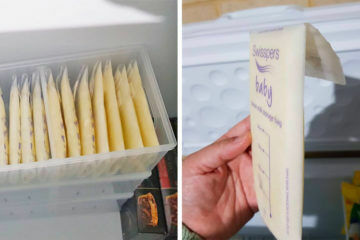 The easiest and safest way is just to place the storage bag or bottle with breastmilk into a container with some warm water and let it gently heat up to body temperature. Once the milk is warm, swirl it so it’s mixed and just test it to make sure it’s not too hot. Can I keep breastmilk that’s been thawed? Can keep at room temperature for up to four hours (so the next feed). Can be stored in the fridge for 24 hours. Can only be kept at room temperature until the end of the feed. Can be kept in the fridge for up to four hours (the next feed). Can only be kept until the end of that feed, then must be thrown out. Can’t be put back in the fridge. Can I add freshly expressed breastmilk to milk expressed earlier? Yes, just make sure you cool the freshly expressed milk in the fridge before you add it to previously expressed chilled or frozen breastmilk. 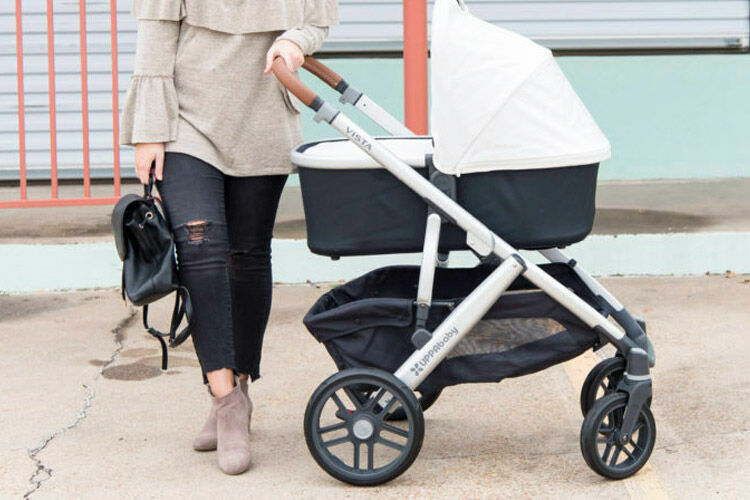 How should I transport expressed breastmilk? Just keep in mind the temperature of the breastmilk while it’s being transported. Pop the expressed milk into an insulated container like a cooler bag or esky, and put a freezer brick with it. 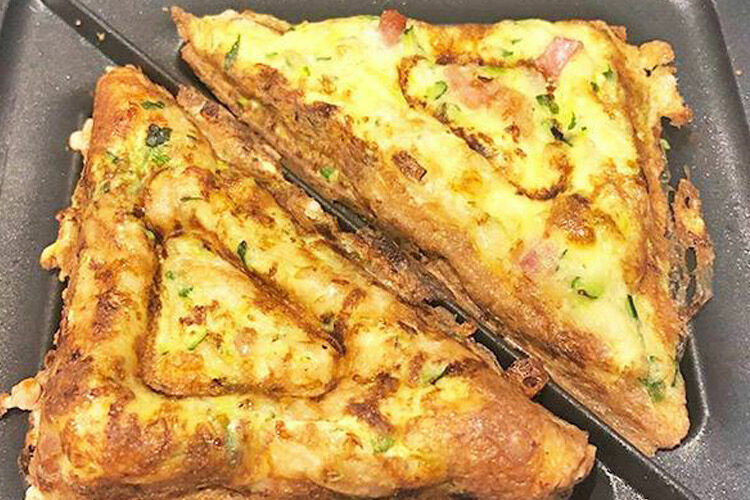 This works for freshly expressed, out of the fridge or frozen. If it’s thawed, just make sure it’s used within four hours, and don’t refreeze. As soon as you get to where you’re going, put the milk into a fridge. Why is there blood in my expressed breastmilk? Is it safe to use a second-hand breast pump? Expecting a baby? Join one of the closed Mum’s Grapevine pregnancy Facebook groups for non-judgemental support from other mums due at the same time as you. We’re chatting at all times of the day and night, so if pregnancy insomnia got you tossing and turning, make a cuppa and come on in.